You have to understand the very basics of an inbound marketing effort in order to develop a successful strategy. Every business is going to have a different campaign based on individual goals and needs, but the structure of a successful campaign will be very similar. In order to help you understand the fundamentals here is inbound marketing explained in five steps. 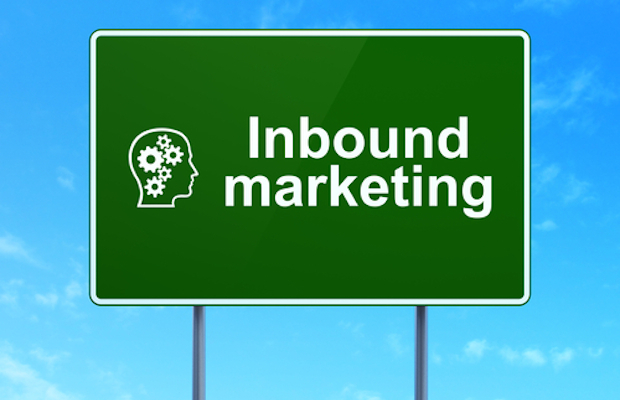 A successful inbound marketing campaign begins with a well thought out strategy. Prior to starting anything you need to first identify whom it is that you are targeting. Identifying whom your ideal customer is and then pinpointing where they can be found online is your first step. Where are they active? What social media platforms do they utilize? What type of content do they interact with the most? Develop the subject of your inbound marketing campaign: You need to identify what you are trying to accomplish -- what issue are you trying to solve for your customer? How is your product or service going to help them? Moving forward, all of your content is going to come back to the subject of your campaign. Set the goals for your campaign: It would be impossible to build an inbound marketing campaign without goals. You need to clearly define what you want to accomplish. Are you trying to generate leads or online sales? How many leads or sales? Have a concrete understanding of what you want to accomplish before moving forward. This is the actual building phase of your campaign, where you create content that is going to be used to attract customers. There are several types of offers that can be used: you can use videos, infographics, blog posts, eBooks, free trials, or webinars. Each business is going to require a different offer, so make sure to use something that your target audience is going to want to engage with. Collect valuable data: You will want to gate your offers, requiring your potential customer to trade information for access. It is important that you don’t ask for too much information. Collect the bare minimal to still qualify it as a good lead, while not requiring so much information that it impacts your conversion rate negatively. Strong calls-to-action: A call-to-action is what signals your website visitors to take a specific action while on your website. It is important that you have a very strong CTA and that you continue to split test multiple types as well as locations. Often times the slightest modifications will result in the biggest conversion rate increase. Your CTAs need to serve one purpose -- to get your website visitors to click over to your landing pages. Create compelling landing pages: Your landing pages are what will convert your traffic, capturing information in exchange for your offer. Every campaign and offer will need its own landing page, and you will need to split test several variations of each in order to optimize your landing pages to deliver the highest conversion rates. Simple forms: At the very least you need to ask your visitors for their name and email. If you can get away with just collecting that information it will increase the odds that they submit the form. The more information fields on your form, the lower the conversion rate. Again, split test several form lengths to determine what is more effective for your campaign. Website blog: Your business should be blogging, because it is a great way to attract potential prospects through organic search. Posting new blog content on a regular basis gives your website visitors new information to engage with every time they visit your site. It also gives you an opportunity to attract visitors from organic search. Guest blogging: There has been a lot of talk about this topic over the past year, but rest assured that guest blogging is not dead. Locate blogs that are within your industry and identify the ones with strong traffic numbers that also feature guest posting. Reach out to the website and include some information about your expertise and what you can contribute to their website. For an even better response include a submission in your initial outreach. If it is good enough they will have a hard time turning it down. Social media: It is important to have a social media presence among the platforms that your target audience can be found. Share your content across social media and also engage with your audience, making sure to respond to those that send you comments or questions. Encourage social sharing, as it is a great way to expand your reach and introduce your brand to additional prospects. Paid distribution: In order to get your blog content in front of more prospects you can use several paid distribution platform. When you read content on some websites you might often see related posts or additional information that you might be interested in. A lot of times this is paid distribution networks that charge the advertiser every time someone clicks on their content. This can be a very affordable way to introduce more people to your website and brand. Once you collect interested prospects through your offers and landing pages you need to nurture them to a point that they become comfortable with your brand and turn into customers. Often times you will need to engage a prospect several times before they pull the trigger and convert into a sale. Using automated email marketing allows you to continue to market your list on autopilot until they convert. Sending them information that they will view as useful, or sending them information about the product or service your business offers will keep them interested. A great nurturing strategy is to answer their questions before they become questions. When you can do this effectively it will greatly increase your conversion rate. The great thing about inbound marketing is that the results are extremely measurable. You can collect analytical data every step along the way that allows you to make necessary changes to improve the performance. You have the ability to make sure that you meet or exceed your goals by doing this, and to identify areas that can be improved. The analyzing and optimization needs to be an ongoing part of your campaign. It isn’t something that you only do once or off and on. As you can see, creating a successful inbound marketing campaign requires that you fully understand your target audience and develop content that they want to engage with. Continued testing and optimizing will help to keep your campaign performing, as inbound marketing needs constant attention to keep the results and ROI coming. Shorter Blog Posts: Smart Move or Huge Content Marketing Mistake?